Shannon Lush, co-author of Speed Cleaning (ABC Books), says spraying your clothes with a lavender oil and water solution (one teaspoon of oil to one litre of water), after your threads have left the washing machine will make creases disappear altogether. "Lavender oil is a fibre relaxant so the creases just drop out. It also helps keep mozzies away." Or how about not caring if your kids' clothes are crease-free? No matter how crisp they're clothes are, after running around for an hour they will always end up crumpled and stained. Shannon adds that shaking out your clothes after washing, and then hanging them correctly on the line, will aid in crease release. "Hang clothes by the strongest part of the fabric - the waistband or inside seam - and there won't be any peg marks that need ironing out." Shannon advises if you really hate ironing you should seek out retailers specialising in clothes that make life easier for mums. Head to David Jones or Myer to find non-polish shoes, stay-pressed trousers and non-iron shirts - textile companies have spent millions of dollars developing non-iron fabrics, so why not use them? If you're heading out to work early the next morning, just follow a tip used by thousands of students around Australia, and put your clothes under your mattress before going to sleep. Laid correctly, in the morning everything will be crease-free and flat. If you have a bit more time, take your clothes out of the tumble dryer while still slightly damp and lay them on a flat surface as they dry. Hey presto - clothes ready-to-wear! Even better - avoid getting a job where you need to wear smartly pressed clothes altogether! Do you need work shirts freshly ironed each Sunday night? 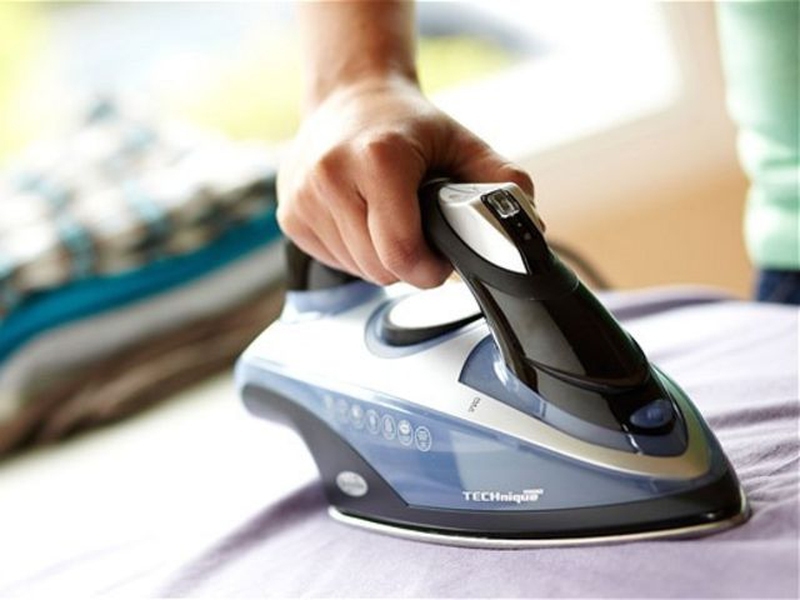 Then always iron shirts damp, or hang in the bathroom while you shower, and the rising steam will simply drop the creases out (leaving you more time to watch Desperate Housewives). If you do find yourself ironing, set yourself an hour or two program of must-watch TV, pour a glass of wine or coffee, and the ironing just seems to get done without even thinking about it. No effort involved. Ironing doesn't have to be a mum-only-task. Share the load with your partner and take it in turns week by week to do the ironing. Also, don't forget there are some great ironing services who will pick up your creased laundry and bring it back all finished, such as United Home Services. There are also agencies like Absolute Domestics where you can hire domestic help to come into your home and take care of that ironing pile for you! Server responsed at: 04/21/2019 8:04 a.m.